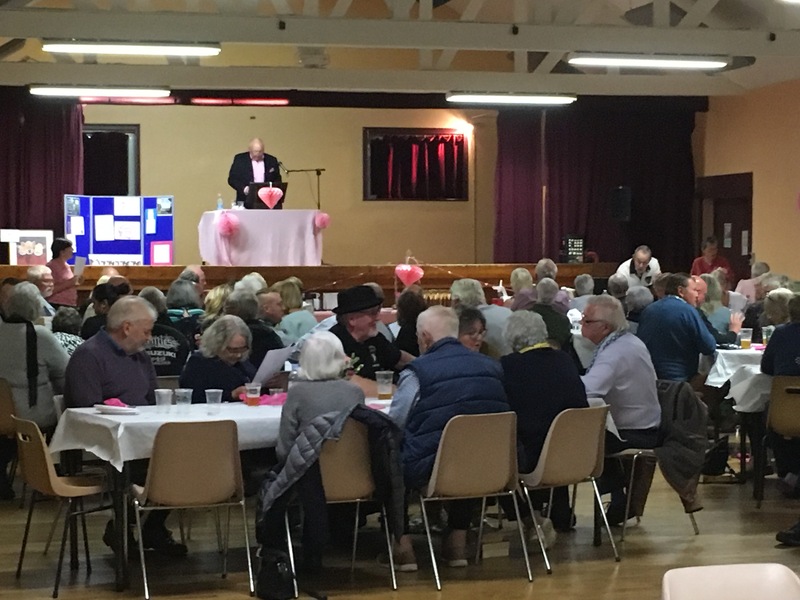 On Saturady 6th October, we held an Auction and Curry Evening to raise money but also as part of Breast Cancer Awareness Month. The weather was terrible but despite the wind and the rain over eighty people came to support us. 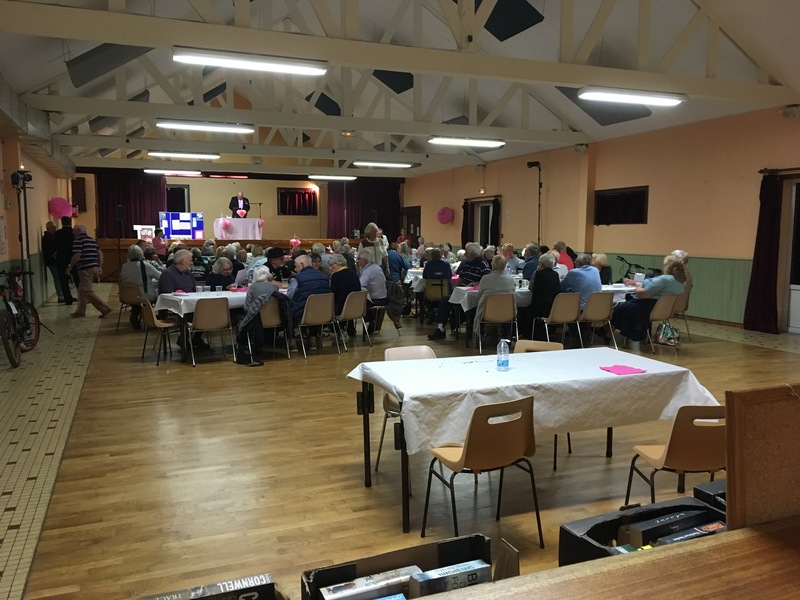 After a three course meal cooked by our volunteers, the auctioneer took to the stage and the Auction began. All of the items in the auction had been donated during the previous few weeks. The bidding started slowly but soon the audience rose to the occasion. It was a fantastic evening enjoyed by all.